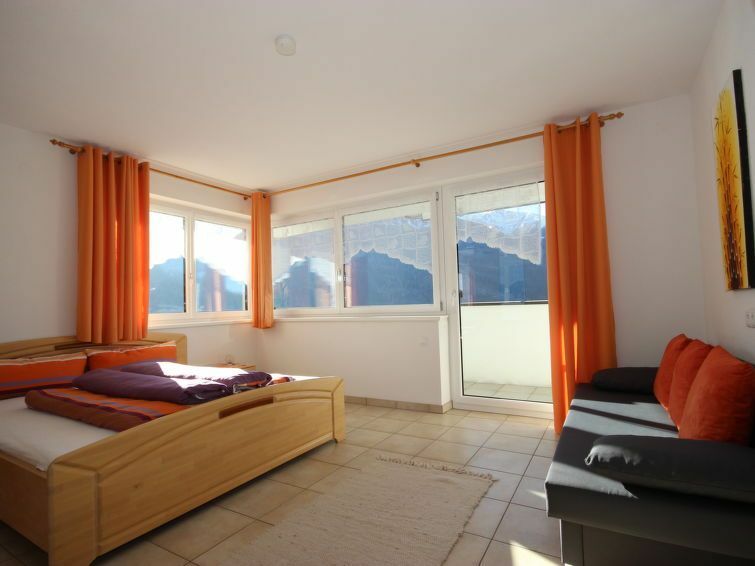 Fließ 8 km from Landeck: Modern 2-family house. In a quiet, sunny position on a slope. For shared use: small garden. In the house: storage room for bicycles, storage room for skis, central heating system. In Winter: please take snow chains. Parking at the house. Grocery 1 km, restaurant 1 km, bus stop 1 km, outdoor swimming pool 2 km, natural swimming pond 2 km. Golf course 20 km, tennis 2 km, gondola lift 4 km, ski rental 4 km, ski bus stop 300 m, ski school 4 km, cross country ski track 4 km, children's playground 100 m. Nearby attractions: Naturparkhaus Kaunergrat 4 km. Well-known ski regions can easily be reached: Venet 4 km, Serfaus-Fiss-Ladis 17 km, Kaunertaler Gletscher 40 km. Hiking paths: Naturpark Kaunertal 4 km. Please note: ski bus (free of charge). Free ski bus service to the ski region Venet. for the skibus to Serfaus-Fiss-Ladis will be charged. Tirol-West-Card included http://www.tirolwest.at/home.html. "Elena", 3-room apartment 75 m2, on the lower ground floor. Spacious and bright, modern and tasteful furnishings: entrance hall. 2 double bedrooms. Kitchen-/living room (oven, dishwasher, 4 ceramic glass hob hotplates, microwave, freezer, electric coffee machine) with dining table, satellite TV (flat screen), hi-fi system. Exit to the balcony. Shower/WC. Underfloor heating. Balcony. Balcony furniture, box-room. Marvellous panoramic view of the countryside. Facilities: children's high chair, baby cot, hair dryer. Internet (WiFi, extra). Please note: non-smokers only. 1 pet/ dog allowed.